I will be doing a series of posts that briefly examine a player's impact and role in the hobby. 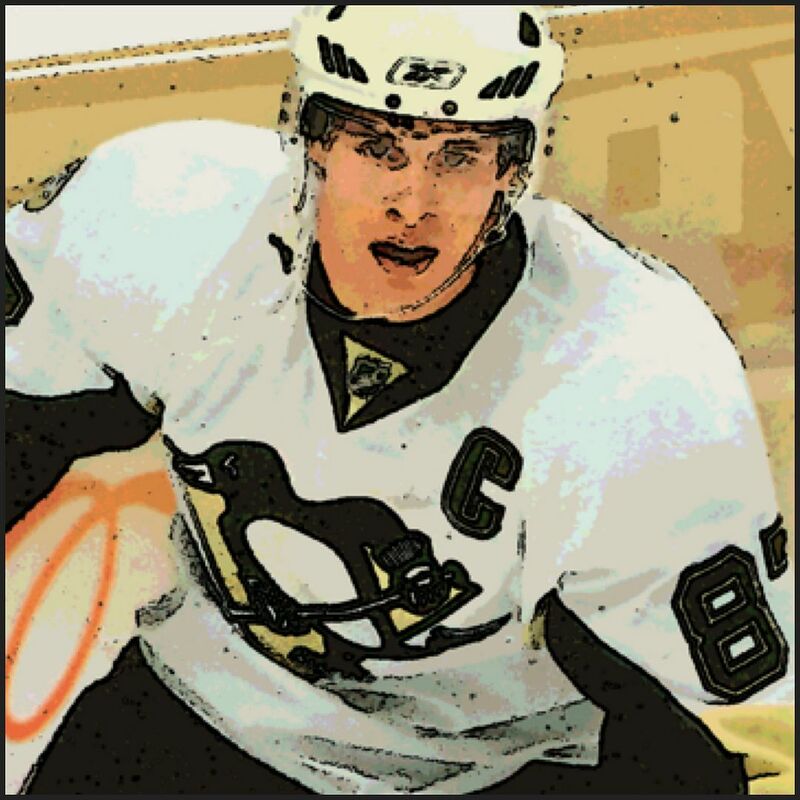 Today's player is mega-star Sidney Crosby. 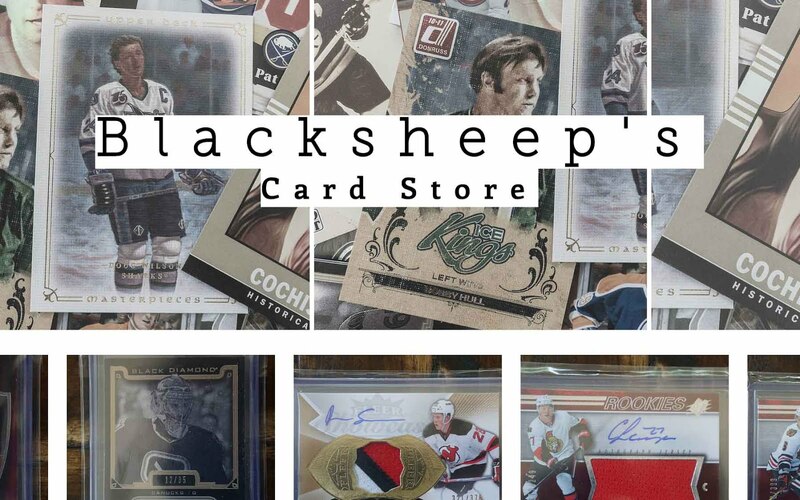 Crosby has been a darling of the hockey card world for a long while now, but has his stock diminished a bit in the past few years? It's worth a look. If I were to pick one current non-rookie player's auto to pull out of a pack, it's be Sidney Crosby. In terms of value, there isn't much that best him. Anytime I see a Crosby hit pulled, it's a special moment for that person. Crosby's impact on the hobby is undeniable - he is a force. Even if you are not a Crosby fan, pulling that Crosby hit will either net you a nice chunk of change or some great trade bait to get something else you'd want. Pulling a Crosby hit out is never a bad thing. But has he won them too soon? The current hobby is always asking 'what have you done for me lately? ', and while he and Team Canada have recently gotten gold again, his team, the Pittsburgh Penguins, haven't exactly lit the world on fire for the past few years. The team has been very strong in their conference, but they have ultimately fallen very short in terms of getting back to the Stanley Cup finals round. When the Pens were winning their Cups a few years back, Crosby was still very young... and I think people thought he was the next Michael Jordan, but for hockey. Jordan won... and won and won and won until the very end of his career. 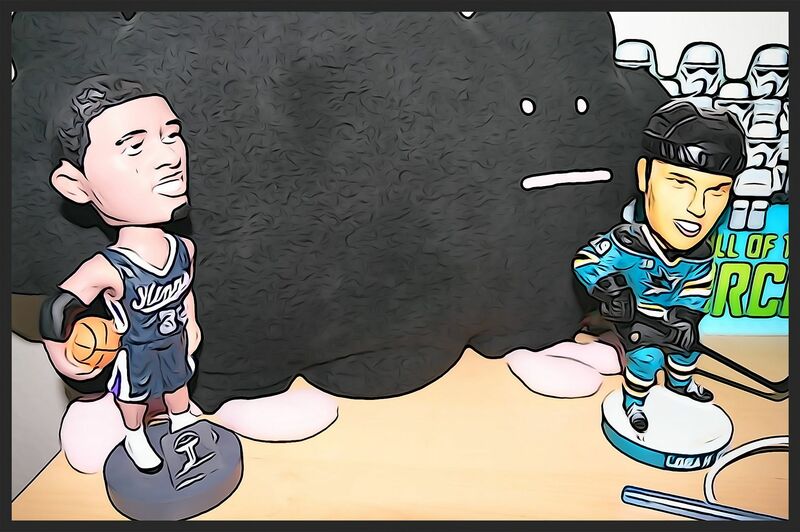 Perhaps sports fans and collectors had the same expectation for Crosby. His card values certainly showed it. And they still do. Crosby's card values are still very high. But he hasn't been able to hold the Stanley Cup over his head for a few years now. He hasn't been 'like Mike' recently. Sure, he dominates stats still... and is in the running for MVP... but we want to see him win and be that player that is unmatchable. He's not quite there at the moment. But he could be there again. He just needs to win... and win and win and win. Crosby's card values remain high, but I wonder if they will stay that way if he fails to reach the heights he had during his Stanley Cup days. Will collectors lose the interest in him? Well, I'm sure there will always be interest in him, he's already done enough to cement a very good legacy. But it would be great for him (and the hobby) to build that legacy even more. Crosby's cards are a a bit of a turning point right now. Is it time to buy, sell, or stay put? It's really hard to forecast this. I would say that it'd be safe to stay put on his cards at the moment. His values may drop slightly, but he's done enough to keep them afloat. The only way they will rise is if he transcends the sport again. And that's pretty hard to do. 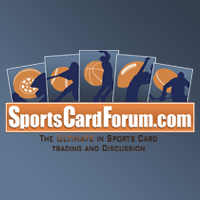 Let me know what you think of Sidney Crosby and his card values. Is there a future in terms of Crosby card values going up? Has he peaked? I'd love to hear your thoughts in the comments section. I'm a Crosby collector, which is rewarding and frustrating at the same time. It's rewarding, becuase like you said, pulling a hit of his out of a pack is an amazing pull, no matter what. On the other hand, being a Crosby collector is EXPENSIVE. A plain jersey card will run you at least $10 on Ebay, and his autographs start at $75 and go up from there. Still, in regards to his long-term value, I think it will remain. The big question isn't necessarily where he goes from here on, but rather where he would go after returning from his concussion-related issues. If the last two seasons are any indication, he's not slowing up at all, so values will remain where they are, at the very least. thanks for the insight matt! it's good to hear from someone who has a perspective on collecting crosby. i actually hope crosby does continue to improve. hockey needs players like crosby to propel the sport higher. best of luck on your collection, i know it's expensive! I don't have the Maatta anymore unfortunately, but I do have the Bennett.